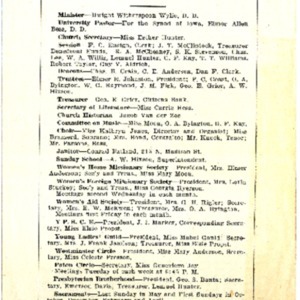 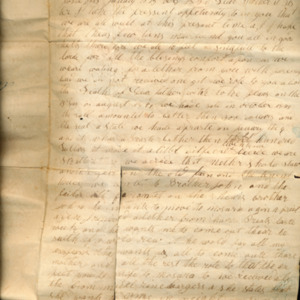 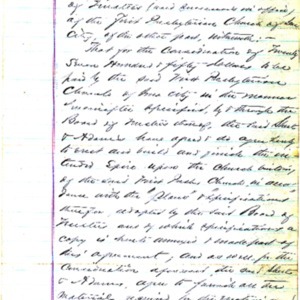 A copy of the Church’s Land Patent Record. 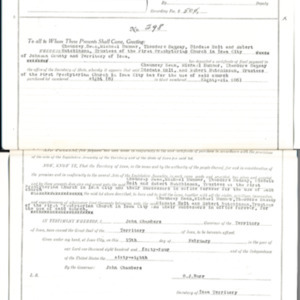 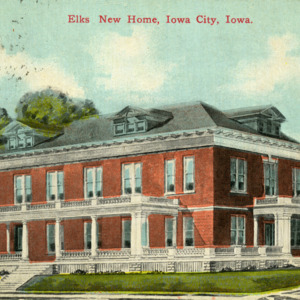 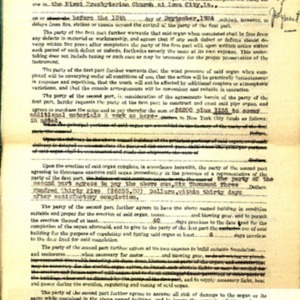 Filed by J. M. Kadlec on May 25, 1923. 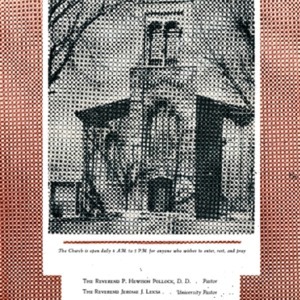 Service booklet from June 24, 1956. 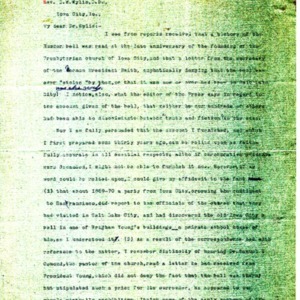 Back page has historical notes. 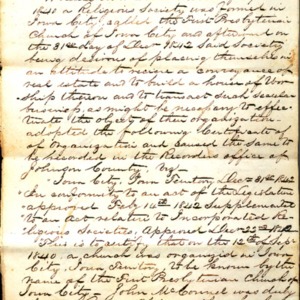 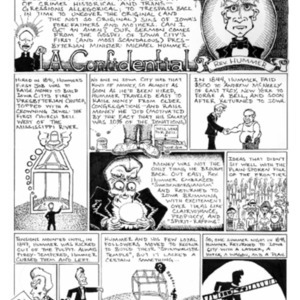 Constitution of the First Presbyterian Church. 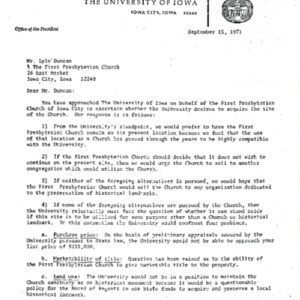 A letter formally stating the resignation of the Board of Trustees. 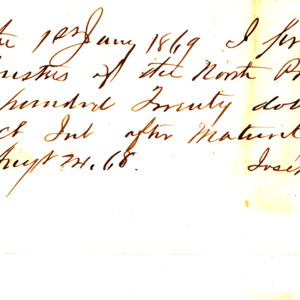 Receipt to apply to contract to build spire at First Presbyterian Church. 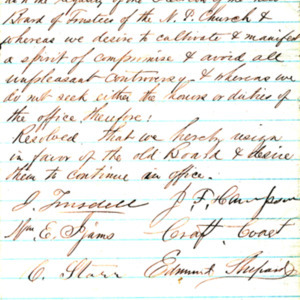 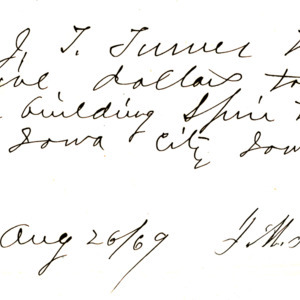 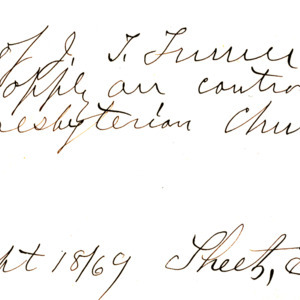 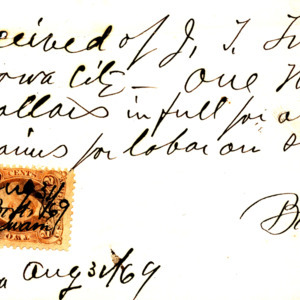 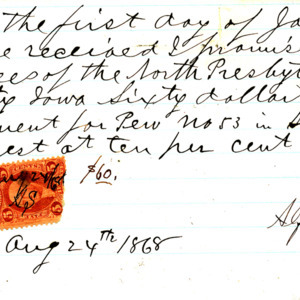 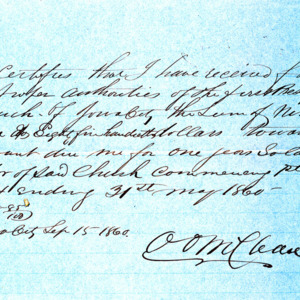 Handwritten note detailing the amount of money to be paid for a section of a particular pew in the North (First) Presbyterian Church during the year 1869. 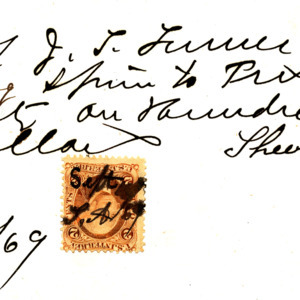 Signed by Alfred Stevens. 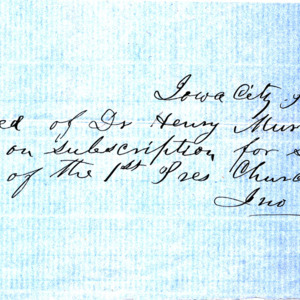 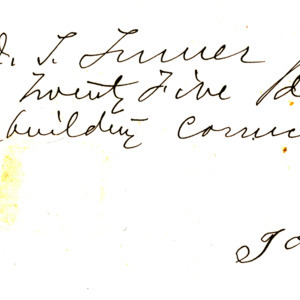 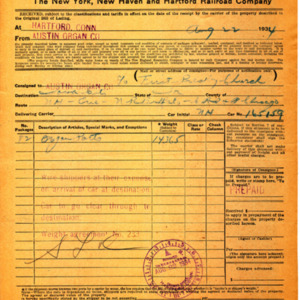 A receipt to apply on the contract for building cornice on the north end of the First Presbyterian Church. 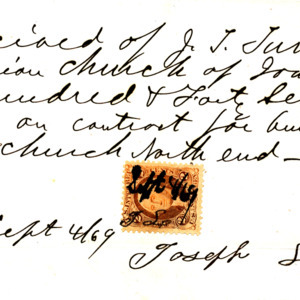 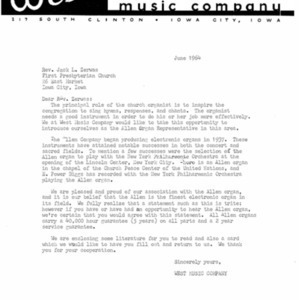 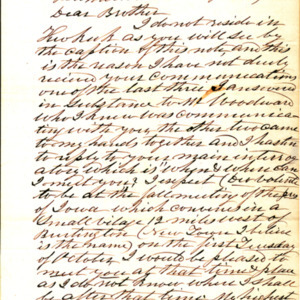 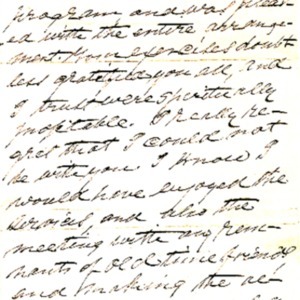 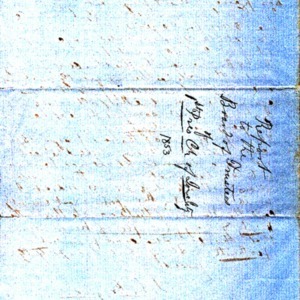 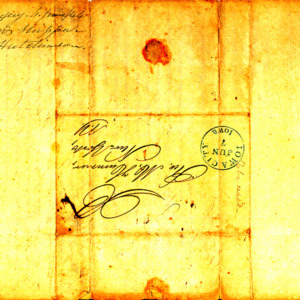 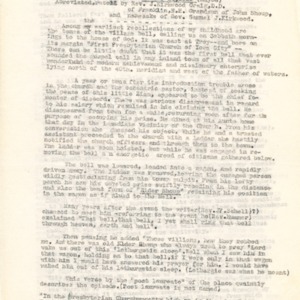 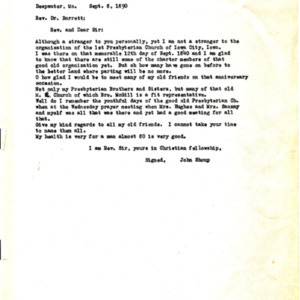 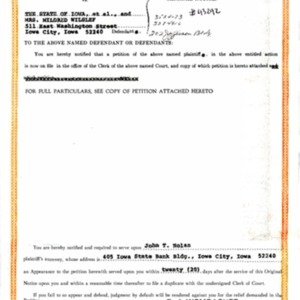 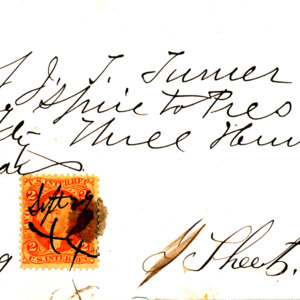 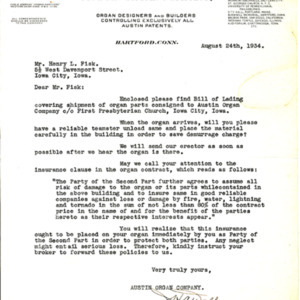 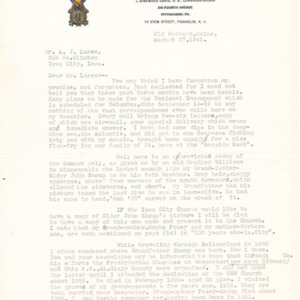 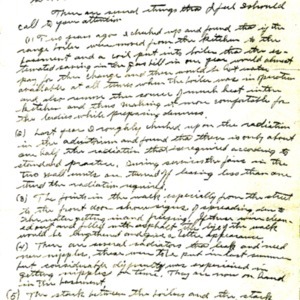 Letter written by Rev. 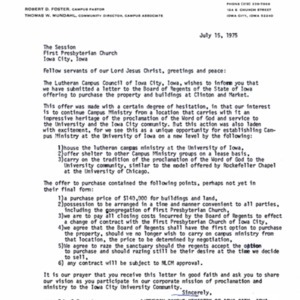 Michael Hummer to Rev. 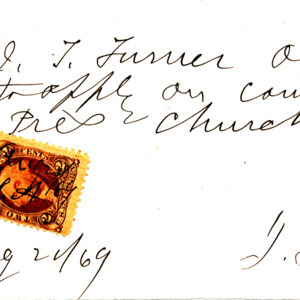 John Crozier, detailing a time and place where the two of them can meet. 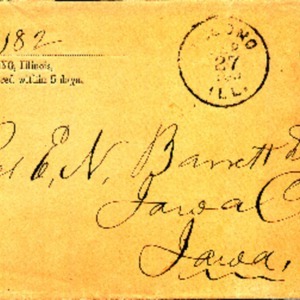 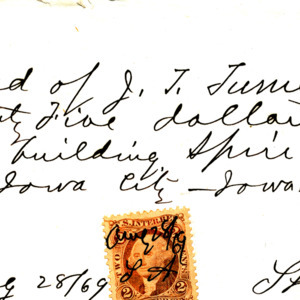 The letter was written in Hamilton, Illinois.